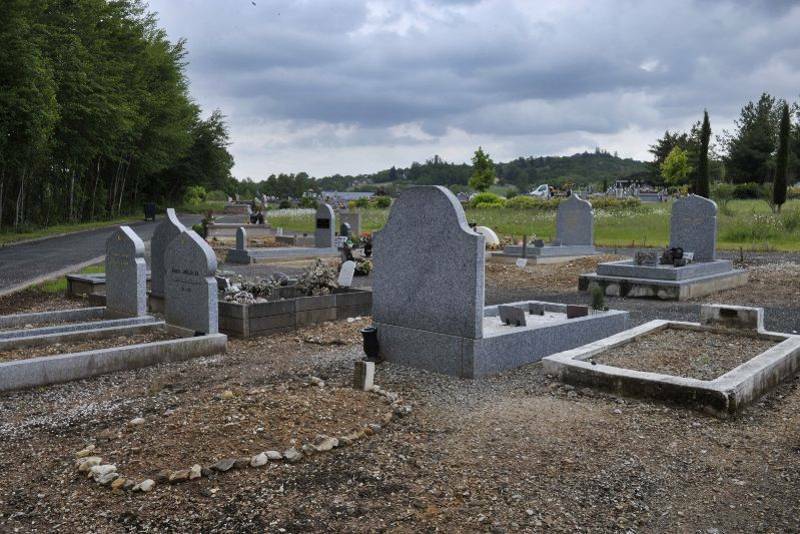 Muslim cemetery in Fournade - LHERPINIERE Fr d ric? Remarks made at the funeral of a veteran in the Muslim section of the cemetery Founade at Brive, create controversy. Two versions of the facts oppose. A funeral speech, press and defamation set fire to the powder within the Muslim community and the wider Brive Limousin. It all starts Saturday at the funeral of a Objatois veteran and flag bearer, the Muslim section of the cemetery of La Fournade at Brive. Noureddine Akel, president of the Muslim Association of Brive and the Association of Muslim section of Corrèze speaks at the end of the ceremony, attended by several personalities, including Mayor Objat Philippe Vidau. This is where the versions diverge. In a statement, the Muslim religion of the region Limousin Regional Council (MCRC) assigns Noureddine Akel about the "violent against non-Muslims, including providing assistance he would not hesitate to" smash tombs and neighboring cross with a "mass." In reading this text signed by the President of the CRCM in Limousin Elhassane Lechhab present at the funeral, Noureddine Akel will prevail. "I never, never said that! I do not have the right! I was aiming for the graves in the Muslim who are not faithful to the tradition. Those involving plates and funeral furniture, among others. The graves should be very simple. I was not aiming for the Christian tombs which I respect. " Yet Elhassane Lechhad, "on behalf of the Muslim community in the region, strongly affirms the rejection of the ideology of hatred." And continues: "The CRCM rises against this ignominy [...] and asked Mr. Akel have the decency to resign from the presidency of the Association of Muslim Brive." The association joined the Union of Islamic Organizations of France, close to the trend driven by the Muslim Brotherhood. The CRCM same challenges the national authorities of the structure that "is clarified that the origin of speech contrary to the doctrine of Islam." Noureddine Akel consider these remarks as "an attack against the mosque Gaubre" which hosts a handful of practitioners around the Salafist movement advocating a fundamentalist Islam. "I asked the people who were present and who are willing to testify. I will file a complaint for defamation, "he concludes. Elhassane Lechhab yet have "sounded the alarm for several years for the president of the Muslim Association of Brive." A situation that takes a different perspective knowing that the Islam of France into an election period French Council of the Muslim Faith ( see elsewhere ).